Much of my work as a mediator involves the question of who owns what. Who owns the water in the river? How much can they divert and at what time during the year, even during the day? These are conflicts that can lead to blows and/or end up in court. Who owns the right to a piece of public land and for what purpose? This raises questions of who is the public – ranchers, loggers, hikers, birdwatchers? — and how multiple users can share the resource without clashing. But there are other kinds of property clashes that are more thorny and for me more intriguing. Around 1990 I facilitated a meeting that I still remember vividly because of the passion and the honesty on both sides. It’s funny how I can forget glorious moments of technical prowess on one side of the table or a critical legal argument that swung the day. What sticks with me are human encounters like this simple discussion between National Park Service archaeological staff and several Native American tribes. The Park Service wanted to talk openly in a safe environment with tribal representatives about legislation that was working its way through Congress. It was the Native American Graves Protection and Repatriation Act, now known as NAGPRA. Tribes had been lobbying for decades for the right to determine the final disposition of skeletal remains, cultural artifacts and sacred objects of all kinds found on public lands and put in the curatorial hands of federal agencies. These items were taken from their homelands and displayed in museums, visitor centers and universities all around the country. Now it seemed there would be a legal process for their return. The Park Service wanted to better understand how this could be done. The answers were as diverse as the tribes. It depended on tribal beliefs, the particular item, the time and location of discovery, its journey since being uncovered, the position of the current tribal administration, and many other factors. Some tribes wanted their artifacts and skeletal remains returned as quickly as possible, and in a respectful manner prescribed by the tribe. Others felt that their items had been contaminated by being removed, housed, and displayed or stored in alien hands, and that their powers and significance were gone, or worse, had been perverted and would bring harm if returned. Their view was “you wanted it so badly, now it’s your problem.” For items that would be returned there were serious questions in some cases about who that recipient should be – tribal religious groups or tribal governments, or individual family members whose ancestor created or used the object? And what if the tribe no longer exists, or what if more than one tribal group claims ownership? We discussed all these challenges thoughtfully, in the spirit of mutual education; there was no pressure to convince or win over the other side. And that is probably why a Park Service archaeologist had the courage to say what she did. She loved her work and took very seriously the responsibility of preserving and caring for the objects that she had in her visitor center. Her anxiety about NAGPRA was that many very significant objects would be returned to tribes who would make choices about their care that would result in a loss of the object. Tribal members had suggested that many things that had been buried would be reburied, for instance, and these objects, she said, would be lost. Scientists and anthropologists would not have access to remarkable clues into the past, into another culture; the public would not have the chance to learn about these cultures. She was sad about this. She wasn’t arguing, she was simply expressing how she felt at the dawn of NAGPRA. 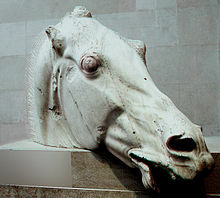 As she continued talking, she raised the example of the Elgin Marbles (statues from the Parthenon that were taken by Lord Elgin in the 1790s and given to the British Museum). The statues are still in the museum in spite of efforts to have them returned to Greece. The statues would likely have been destroyed by wars and rebellions, defenders say. The Park Service employee concluded by saying that she was glad that those statues had been preserved, but she guessed that they should be returned to Greece. Of course, she would return what tribes wanted back, but wasn’t it possible that those items would be better curated in federal hands? I expected an outburst of some kind from the tribal side, but such was the spirit in the room that she was answered with respect and even kindness. The decision, said a tribal member, should be up to the tribe. Maybe some would chose to leave the object where it is , but if a tribe felt it was important to rebury it, or put it back into use, or destroy it in some way, that should be their decision. 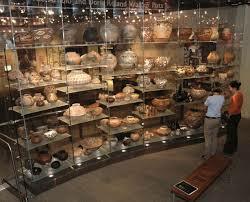 She understood and agreed; the tribal representatives understood her deep caring for the objects. I wish this spirit were present in the current conflict between Acoma Pueblo and Peter Nabokov, the author who has recently published “The Origin Myth of Acoma Pueblo.” The Pueblo is offended that they were not given the manuscript to review prior to publication. This is their cultural intellectual property, they say, and they are the rightful curators of it. Nabokov points to the fact that the myth was already published decades ago and that it is now public property. There are differences in the two sides’ stories about communications, promises and outreach to the Acoma Pueblo Council. I don’t know how this will play itself out. Nabokov is now in contact with the tribal council and he and the council have agreed not to make their discussions public, which I think is very wise. Parallels with the repatriation of sacred objects are interesting. Those defending Nabokov’s right to publish the myth may claim that the world has the right to know everything, that all knowledge should be available to all. For me this is a gray area. Of course I want to know about threats to my health, about the history of Japan, about how a car engine works, about who won the Oscars. But then there is knowledge that is not critical to our well-being and that we do not all need to know, and that certainly includes the Acoma origin myth. In this case, I have to come down on the side of “do no harm.” For Mr. Nabokov’s sake, I wish he had been more thorough in his communications with the Pueblo; it may be a case of assumptions, and as I have found out the hard way, they are very risky in cross-cultural matters. Unfortunately and sadly Nabokov muddied a healthy and genuine argument about ownership by misleading–and perhaps lying–to Acoma. The ownership of the origins story, of which many versions exists, is a complicated but good example of the tension between Western culture’s insistence on knowing and Native traditions of keeping knowledge close and using it in their internal power structure. A compromise is hard. Take, for instance, your comments that you want to know about the history of Japan. What happens is Japan decides it is none of your business. What might be different about that decision in comparison to those of Native Americans. Lastly, the one part of Nabokov’s motive that is rarely discussed (and won’t know that his dishonesty surfaced) is that by publishing the origins story–widely available in bad editions on the web and in print–in the prestifious Penguin series of books was to get the world to see that is should be considered as important as other stories from other cultures such as Gilgamesh. Interesting about Penguin giving the myth legitimacy and equal standing with other great origin stories, but again I come down on the side of the Pueblo. They may not want that kind of “legitimacy” or comparison to other mythologies if theirs is the one and only truth for them, then maybe in their opinion it doesn’t belong in the “myth” series of Penguin. And unlike the history of Japan (or any other country), I don’t consider Acoma’s story a critical piece of our knowledge about modern history and civilization. Okay, let’s make this even more complicated. 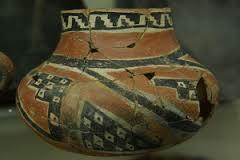 Let’s agree the origins story belongs to Acoma. If it were an object we would return it to the pueblo, right? So how do we give this story back. It’s on the web. Do you want to be in a position of suggesting the web be censored? Oh, I should have known better! I never see quite how slippery the slope is until I’m barreling down at 100 miles an hour. No, I do not want to censor the web…maybe all we can do is try to learn and be more sensitive in the future? Kind of weak answer, especially for Acoma and others who have already “lost” it. I asked a young Japanese woman co-worker about what she was taught in school about Hiroshima. She said that she was taught that Japan had already surrendered and that the atomic bombs were dropped because the US had spent so much money on them that they had to use them. wow. all I can say. It is a “sticky wicket”. Great article, and it does show what can be accomplished if all sides come to the table with an open mind. Maybe this should be required reading for all members of Congress. Now that’s an interesting assignment — create a reading list for Congress. I might start with an old favorite, Alice in Wonderland. “Torn” is the one word I could describe my stand on this issue which is entirely too difficult to grapple with…perhaps without resolution, except by (LOL) an “Act of Congress”!? I do respect the tribal groups’ right to their cultural artifacts that define them as a people. However, from my own perspective, societies and our entire civilization are components of one seamless fabric that define all of us and I applaud the archaeologists, historians and all experts in related fields for their dedication and tireless effort to chronicle the past and preserve and restore the remnants of that seamless fabric for the benefit of future generations. And I thought I was able to see the “gray” and hold a balanced view! Beautifully said. Thank you. The fact that the story was previously published does not necessarily make publishing it again acceptable. It is possible that the original publication was considered theft, as well. Also, it may be that this is not just a problem of sharing the knowledge, but also the method of transmitting the knowledge. Traditionally, knowledge was passed on orally, and, of course, in the Pueblo’s own language. Writing things down, in and of itself, may not be appropriate, and may be a breach of respect. I do not know the Pueblo’s position, and these are just some thoughts for consideration. As you point out, Lucy, understanding the many nuances affecting any situation is a process of dialogue and respect. May we all continue to learn from each other and honor different perspectives. I love the point about the method of transmitting — that the nature of the information requires a certain method, and that in this case, writing it down is offensive. In fact, it makes me wonder about the Acoma man who first told it to the anthropologists back in DC in the 20s. He may have felt it was acceptable to tell the story, as he did, but would have objected to its being written down. What if Nabokov had not re-published the story, but had told it at the book signing for his other book? Great piece Lucy! Those are the good lessons to share with other agencies who often find Tribal artifacts and work with Tribes on how to handle them, etc. Thanks, Seth. I’m so glad you are in the position you’re in, spreading the word in your quiet, eloquent way among your peers at the Army Corps of Engineers. Kind of disappointed no one is taking me up on my “Reading List for Congress” challenge….how about you, Roy? What book would you send them?